Want to stay connected? Follow Stahelin online on our new social media platforms. The Greenbrook patio is complete! We hope tenants will utilize this area for lunch or to just get outside and enjoy the summer weather on a break from the office. This is a non-smoking area. It all started with a passion for the Great American Grilled Cheese Sandwich… Soon we began experimenting with multiple flavors of cheesy goodness and the next generation of Artisan Grilled Mac & Cheese Sandwiches started rolling off the grill. Choose from over 10 delicious Chef Creations. We also offer a nice selection of breakfast sandwiches and omelets, salads, deli subs, cookies, and sides. Catering also available for your next party or event. For faster response on maintenance requests, contact the main office at (630) 469-3331. Please call Judy at the management office to reserve your spot for the common conference room for your next meeting. Lombard – Cruise Nights & Summer Concerts, Saturday nights from 6-10 p.m., downtown Lombard (St. Charles & Main St). 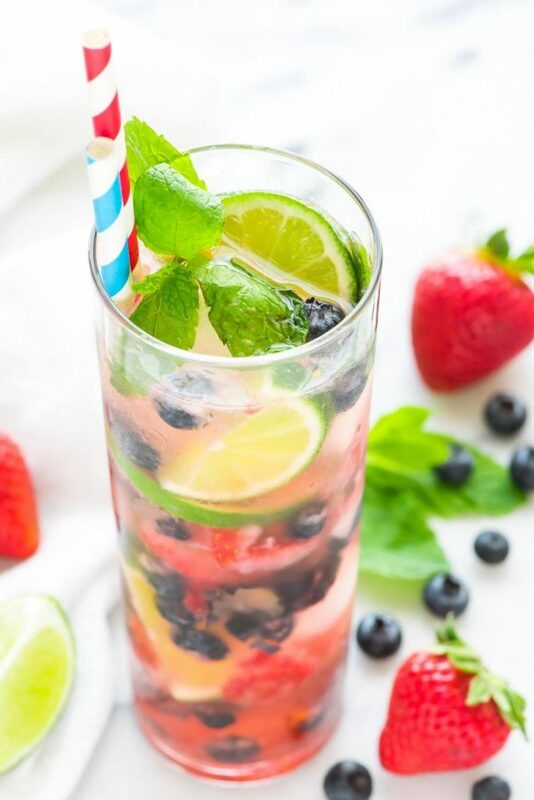 An easy recipe for Blueberry Strawberry Mojito cocktails. Refreshing and perfect for any barbeque. Muddle the blueberries, strawberries, mint, lime juice, and sugar in the bottom of a tall serving glass, until the sugar is dissolved, and the berries break down. Add the rum and stir to combine. Fill the glass with ice, then top with club soda. Stir to combine, then garnish additional mint leaves and berries as desired. Enjoy immediately.